Masses of highly scented, pure-white, tubular flowers from April to August, ageing to yellow, and handsome, dark green leaves. 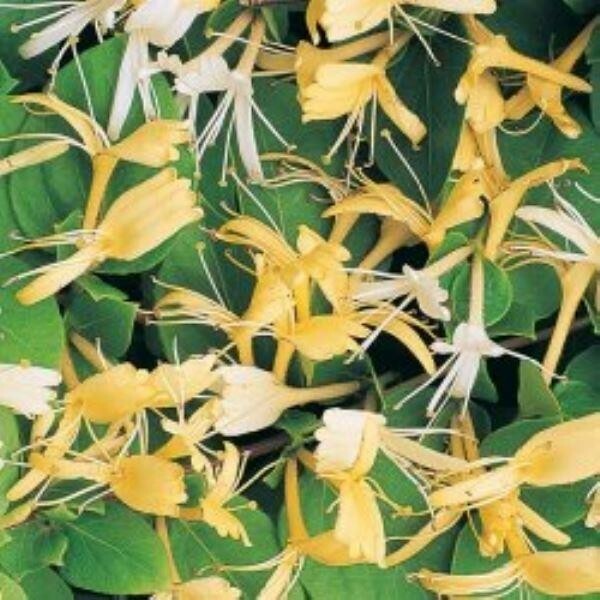 This vigorous, evergreen, Japanese honeysuckle is perfect for an informal, cottage-style or wildlife garden. Quickly offering all-year cover, it looks best scrambling over walls and fences or trained through robust shrubs and trees. Supplied in approx 2-3 Litre containers.